The most amazing view in all of motorsports. Exclusive spots open now for Suite Holders for all NASCAR XFINITY & Sprint Cup Series events. 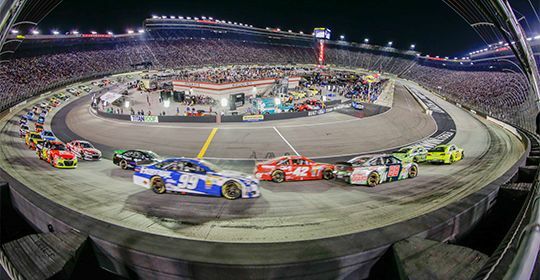 Stand in Turn 4, sip some shine and feel the thunder of 43 gladiators as they battle it out on Bristol's High Banks. Grandstand Hospitality is the perfect way to entertain clients and customers while enjoying the luxury of Bristol and the action of short-track racing. Pit Side Hospitality gives a whole new meaning to the Bristol Experience. 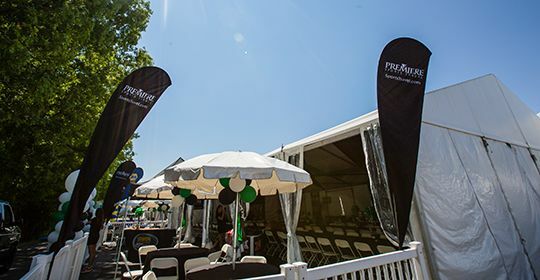 This pre-event & in-race hospitality located in the NASCAR Sprint Cup Series garage is one-of-a-kind and will impress any guest.